Why not flex your parental power and establish a “green food day" of the week and introduce new green foods on that day? 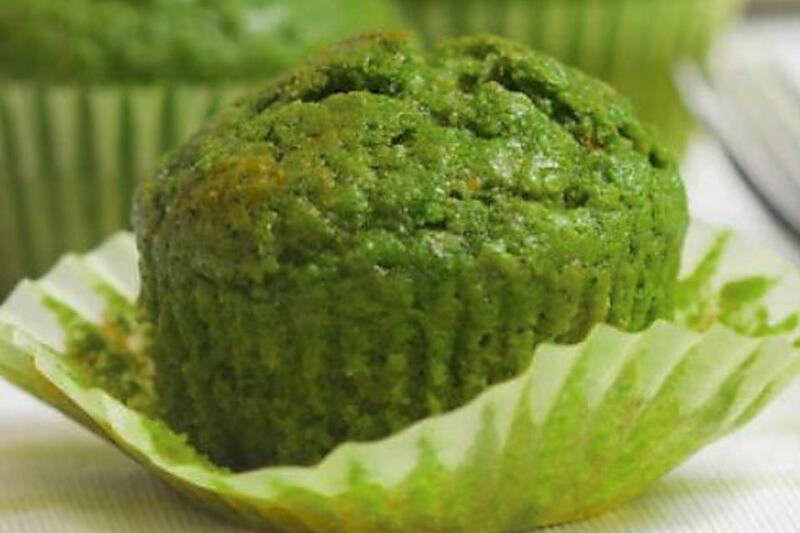 The secret ingredient in these green muffins? Spinach! In a blender, combine spinach and bananas. Blend until spinach changes to a liquid state. In a medium-sized mixing bowl, combine the flour, cinnamon, baking powder, baking soda, salt and allspice. Mix well. Set aside. In the bowl of your stand mixer or a large mixing bowl, add the sugar and butter. Mix on high speed until creamy and sugar crystals begin to dissolve, about 3-5 minutes. Add eggs, one at a time mixing well in between each addition. Slowly beat in the spinach-banana mixture. Add vanilla. Add the dry ingredients into the wet ingredients. Mix well to combine. 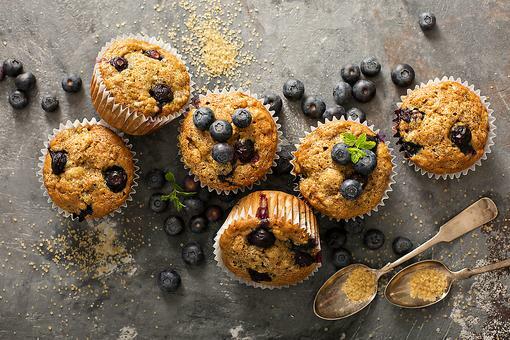 Scoop the batter into two regular-size muffin tins that have been sprayed with cooking spray or two greased loaf pans. 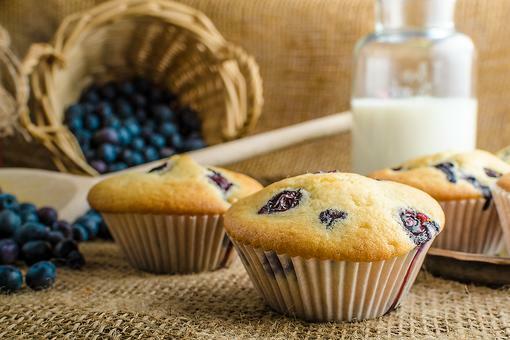 Bake in a preheated 350-degree F oven for approximately 30-45 minutes or until muffins spring back to the touch and are slightly browned on edges (60-90 minutes if baking loafs). Test for doneness by running a toothpick in the center. 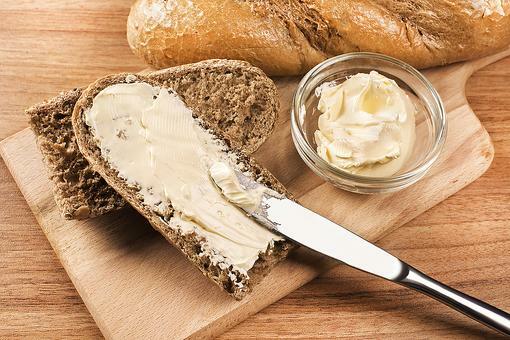 If it pulls out clean, loafs are done. 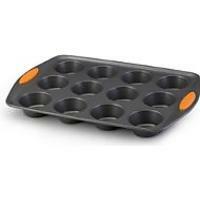 Heavy-duty and commercial grade loaf pans that heat evenly with no hot spots and no warping for perfectly even baking. 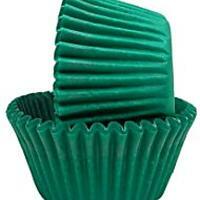 A 40 count of solid green nonstick, standard cupcake pan liners. 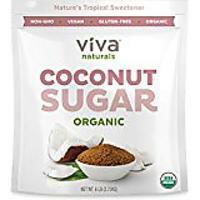 Coconut sugar makes an excellent replacement to refined white sugar spoon-for-spoon, cup-for-cup for all of your baking and cooking needs. How to Make Banana Oatmeal Muffins (Use Those Overripe Bananas)! 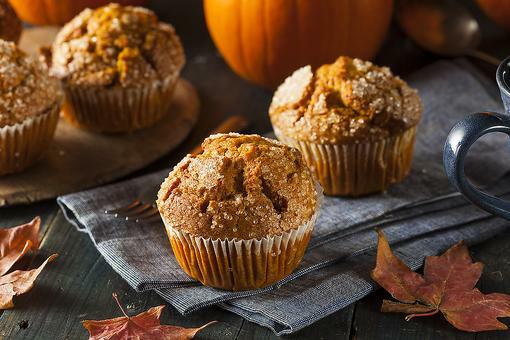 ​Pumpkin Spice Muffins: How to Make This Autumn Family Favorite! 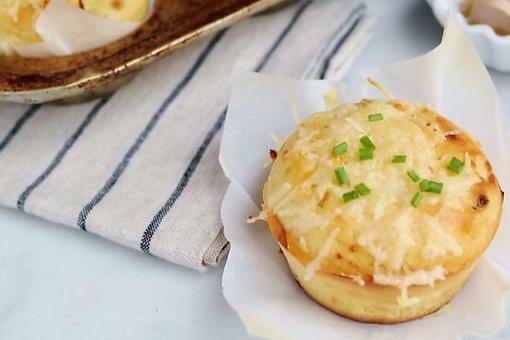 How to Make Savory Honey Muffins (Perfect On-the-Go Recipe)! I love your creative recipes, Chef Gigi Gaggero ! Thank you!